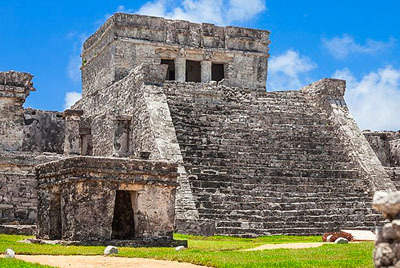 Cancun and the mayan Riviera are full of hidden pleasures. 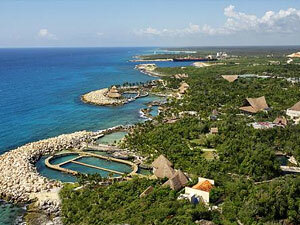 Ecotourism is one of them and there are several excellent Ecological Parks and Preserves to choose from. Each has excellent activities and most have beaches to relax on. In addition, they have Swim With Dolphins programs and many other attractions at the parks. 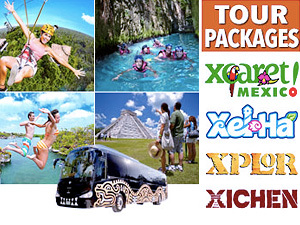 Xel Ha is the most popular snorkeling location near Cancun. A natural lagoon that is home to sea turtles, and dozens of species of fish. A great and relaxing place to spend a day during your vacation. The Biosphere Reserve of Sian Ka'an is home of more than 300 species of birds. In this one million acre coastal preserve live Manatees, Crocodiles, and many other species of animals. A true ecotourist's paradise. The natural park Garrafon, is located in Isla Mujeres and you’ll be surprised with its natural beauties and fascinating adventures, in and out of water. Garrafón is a tropical paradise only 25min away from Cancun, on boat. Chankanaab is for sure the Cozumel's most famous park and a paradise for snorkelers, sun worshippers, and nature lovers. A great place to spend the day. 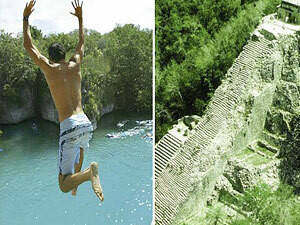 Swim with Dolphins, mayan culture, ruins, a wonderful sight to the caribbean sea and much more. Holbox Island is located three hours distance from Cancun, in the north-east of the peninsula Yucatan, where the gulf of Mexico meets the Caribbean Sea. This is the most important bird sanctuary in the Caribbean. The coconut lined beach looks like a movie set. Home to 120 species of birds!